TSLL Semaine Française has concluded, but not without announcing the winners of the two giveaways and one more extra piece of inspiration and remembrance. I want to thank you for taking the time to stop by as often as you did, sharing your thoughts, ideas and experiences as well as expressing your enthusiasm for what has quickly become a most anticipated annual event by readers (and thoroughly enjoyable task to create for you the readers and listeners). I also want to thank our three lovely and inspiring guests on the podcast, Géraldine Lepere, Sharon Santoni and Janine Marsh, as well as Saphyr Pure Linens for sponsoring this week with their giveaway. 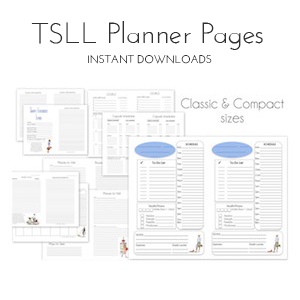 I was reviewing my editorial calendar for what I had planned for this week, and I found I still have a handful of posts I look forward to sharing in the coming months as well as a few I will be reserving for next year’s TSLL French Week. But there was one individual who must be mentioned and appreciated now as the world lost a talent in the publishing and Francophile culinary community that I know many of you will recognize: Judith Jones. The editor of the Julia Child’s cookbooks, the woman who saw what other editors could not, a shift in the culinary landscape throughout America. She passed away on August 2nd at the age of 92, and was responsible for many successful discoveries of talent in the publishing world. Here are five (one which is included is James Beard’s book on bread), and a profile piece by NPR on the day the world learned of her passing. Two books I would recommend reading and using in the kitchen, both written by Jones, are her most recent cookbook, The Pleasures of Cooking for One and The Tenth Muse: My Life in Food which is a highly praised memoir. If you are the lucky winner, email me (info@thesimplyluxuriouslife.com) by the EOD (end of the day) Monday August 14th, and I will collect the necessary shipping information from you so that your giveaway can be shipped you as soon as possible to be enjoyed! Have a lovely Sunday and until next year, look for French-inspired posts from time to time here on the blog and on the podcast. But rest assured, TSLL French Week will return next summer, 2018. Je ne peux pas attendre! 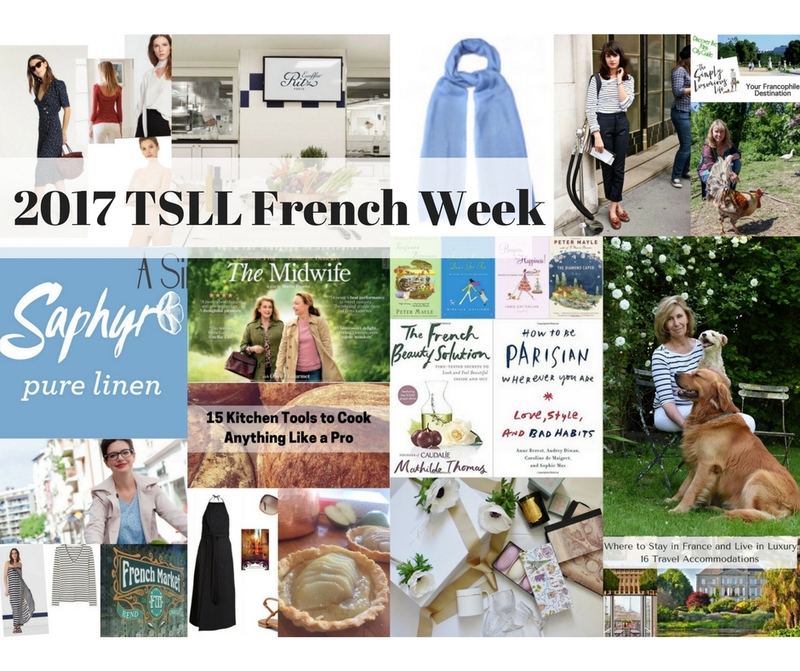 If you still haven’t had enough French-insipration, click here or on the image below to view all of the posts that were part of TSLL’s 2016 French Week. 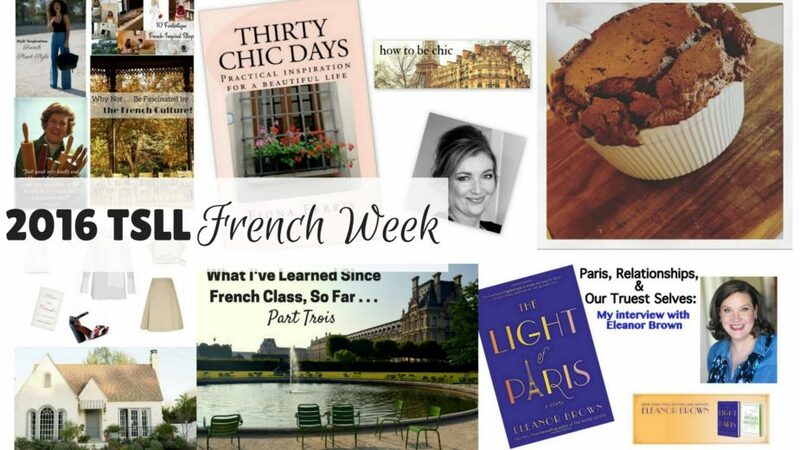 Thank you Shannon for an incredibly enjoyable week of French posts! This was officially my first year experiencing your French week and it was truly fun and inspiring. It coincided with a week of vacation for me and it added a special layer of relaxation and luxury to it. 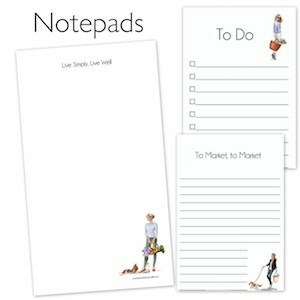 I just bought your book and three others from your list of recommendations and I look forward to them all.